Noah is a supergenius, but just wants to be like every other kid. But when a chance to step in and save the day makes this supernerd a superkid, Noah's life turns upside down! 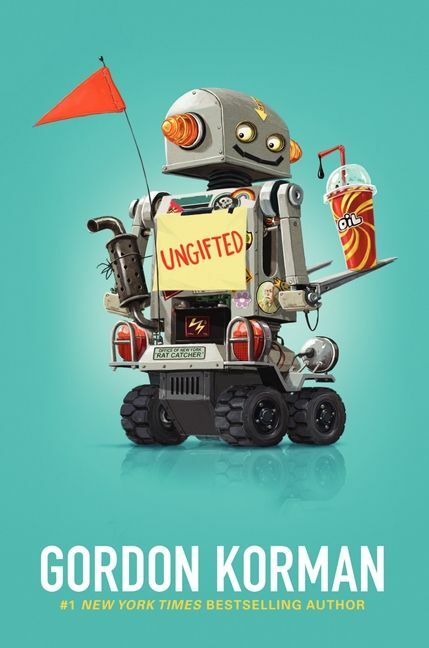 This funny and heartwarming sequel to Ungifted, which has become a word-of-mouth hit, cleverly sends up our ideas about intelligence, heroism, and popularity. Donovan Curtis has never been what anyone would call “gifted.” But his genius friend Noah Youkilis is actually supergifted, with one of the highest IQs around. After years at the Academy for Scholastic Distinction, all Noah dreams of is the opportunity to fail if he wants to. And he’s landed in the perfect place to do it—Donovan’s school. Almost immediately, Noah finds himself on the wrong side of cheerleading captain Megan Mercury and alpha jock Hash “Hashtag” Taggart. Sticking up for Noah lands Donovan in the middle of a huge feud with Hashtag. He’s told to stay away from the sports star—or else. That should be the end of it, but when a freak incident suddenly makes Donovan a hero, he can’t tell anyone about it since Hashtag is involved. So Noah steps in and becomes “Superkid.” Now he’s gone from nerd to titan at school. And it may have gone more than a little bit to his head. 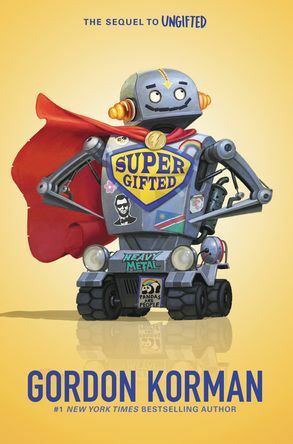 Don't miss Supergifted, the highly anticipated sequel to Ungifted from #1 New York Times bestselling author Gordon Korman!